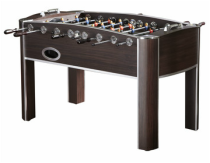 The Atlantis is a great looking wooden grain table with chrome accents. 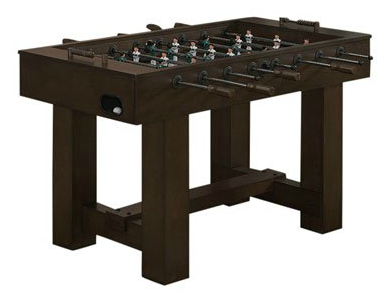 It is a higher end table and features everything from adjustable legs, adjustable leg levelers and 3 man goalie rods. 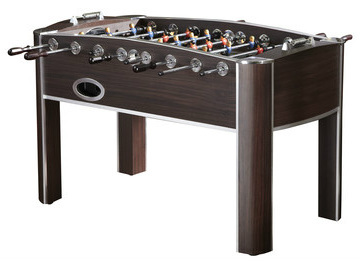 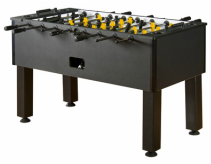 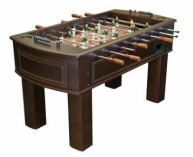 This table is an American style table that is built for fast action but doesn't offer advanced grip on the men like some of the Tornado brand or European style tables offer that allow you to pin the ball and perform shots like the snake.